Whether you are looking for good battery life or a top-notch camera, you do not have to pay the big bucks (unless you can actually afford it). Did you know you can have a smartphone with those features for less than 20000? Brands like Mi, Vivo etc. have taken huge strides in the Indian mobile sector and here are some of the best smartphones under 20000 in India that are downright value for money. 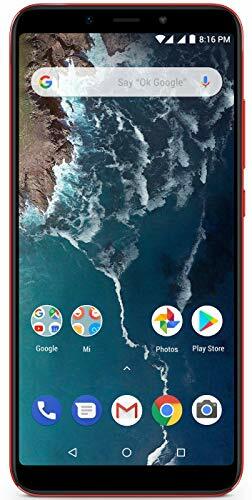 Mi A2 (Best Camera): The Mi A2 doesn’t just feature one of the best cameras in this price range. The powerful Snapdragon Processor and GPU, 128GB Storage and 6GB RAM make it the perfect all-in-one mobile. 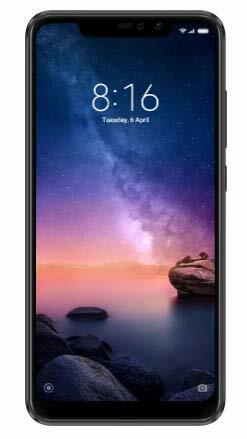 Redmi Note 6 Pro (Best Battery): However, if you wanted a mobile that can last you an entire day on a single charge even with all gaming, movies etc. the Note Pro is the ultimate choice and features a 4000 mAH battery. Plus, when needed, it quick charges. Mi A2 is one of those mobile where you come for the camera but ultimately fall in love with the entire package and here’s why. Speaking of the cameras, most of the cheaper mobiles have cameras that work well in daylight but fail in lowlight conditions. Well, that’s where Mi A2 excels. It’s 12MP + 20MP rear camera is equipped with the Super Pixel technology that enables capture of more details. And, team that up with the f/1.75 aperture and dual LED flashes, and you will have people wowing over your low light images as well. Oh, and before I forget, you can also shoot all your videos in 4K. Mi has also taken the selfie game up a notch with their 20MP front camera that features a soft LED flash for low lights. There is also an AI-based beautification, HDR and Portrait Mode for the perfect photos, always. To keep up with the growing PUBG craze, the phone has been armed with 2.2GHz Qualcomm Snapdragon 660 Octa-core processor and a 6GB RAM. But what’s really the ace in the pack is the Adreno 512 GPU that which makes it a truly seamless experience. And further adding to that is the 6-inch Full-HD LCD screen which is well-protected by the corning gorilla glass 5 (because nobody likes walking around with a broken mobile screen). You can add in two 4G Sims. Plus, giving access to all your favorite movies and games in mere seconds are the excellent face unlock and fingerprint scanner. Lastly, with 128GB of storage space, you do not have to worry about backing stuff up every 4-5 days (Speed + Space, now that is really a complete package). Our only issue with the Mi A2 is the relatively low battery life due to the 3010 mAH battery but the fast charging helps. Also, it does not come with a separate audio jack (guess it’s time to finally get those wireless earphones). From price to specs, going toe to toe with the Mi A2 is the Honor 8X. Here is what makes it one of the most popular buys in within 20,000. What sets the Honor 8X out from the Mi A2 is the 128GB storage which can be expanded to a stunning 400GB with a Micro SD (you’ll never run out space with this one). Secondly, it also features a powerful 2.2GHz Kirin 710 Octa-Core processor and 6GB RAM allowing you to browse, chat and listen to your favorite music simultaneously (a true multi-tasker). For all that gaming, movies and browsing, only a top-notch large display will do, right? Well, it hardly gets any bigger than this 6.5-inch Full-HD display. The 20MP+2MP dual rear camera and 16MP front camera are ideal for your daily Instagram and Snapchat stories and pic uploads during the day. 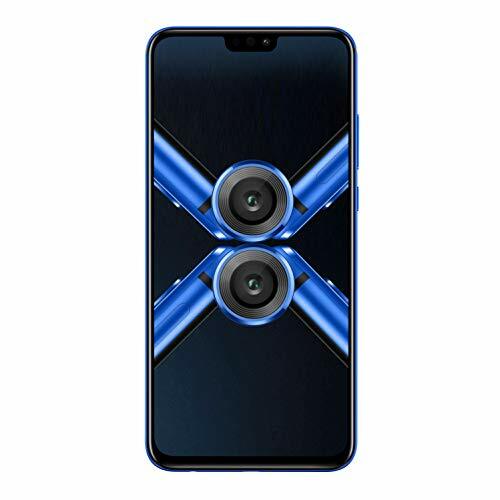 Also, so you don’t have to be running around looking for your charger, the Honor 8X has a 3750 mAH battery that has a runtime for 5-6 hours on a single charge with heavy usage. Lastly, get instant access to all your apps and games with the face unlock feature and fingerprint scanner. Plus, it also supports dual 4G Sims so you have super fast internet at all times. When the battery does run out, charging the Honor 8X can be a pain as it takes longer due to the absence of fast charging. While the cameras a good for daylight photographs the results can be disappointing during the night. Where the Mi and Honor 8X lacked, the Redmi Note 6 Pro well and truly makes up with one of the longest battery backups in this price range but that is not all. To kick things off, as we told you above, it’s the battery we are most impressed with as it can comfortably last 8-10 hours with even with all those hours of gaming, movies etc. How? Well, that is because it is armed with a 4000 mAh battery. But batteries do run out and waiting for them to charge can super annoying. Thankfully, the Note 6 Pro quick charges (so your not missing out on game night). Another standout feature of the 6Pro was its 12MP+5MP rear camera. Even to our surprise, it not only delivered high-quality images during the day but in low light as well which is mainly credited to the f/1.9 aperture. And for all your selfies, there is also a 12MPfront camera that is quite reasonable. While the smartphone comes with only a 64GB internal storage, with a micro SD, it can be boosted to 256GB (and that’s plenty of space in a mobile). The Qualcomm Snapdragon 636 Processor and 4GB RAM create a smooth environment for multi-tasking and keep the mobile cool even during heavy usage. While the mobile supports quick charging, Redmi doesn’t provide the right wire which needs to be bought separately. The front camera doesn’t match up to the rear camera and thus leaves significant room for improvement. Samsung doesn’t just deliver excellent premium mobiles that leave us speechless, this under 20k mobile has plenty to be cheerful about especially if you prefer Samsung mobiles. The J8 is another phone with an excellent camera at the forefront. The 16MP+5MP rear camera has 4X zoom so you can capture the farthest of objects without losing much clarity. And what is a phone if it isn’t selfie-friendly, right? With a 16MP front camera that features a LED flash and f/1.9 aperture, you can get the best of clicks with minimal lights in the background. The 4GB RAM and 1.8GHz Qualcomm Snapdragon SDM450 Octa-core processor mean you can be chatting over WhatsApp while watching your favorite movie or playing mini militia (multi-tasking made easy). Plus, if you don’t find the 64GB internal storage to be enough, the J8 allows for a Micro SD which means you can amp up the storage to 256GB. Samsung displays are praiseworthy and that remains true even for the J8. The 6-inch Full-HD Super AMOLED display is perfect for movies and Netflix (those long metro or bus rides became so much more relaxing). And to ensure all the streaming is quick and you stay connected to the internet at all times, there are dual 4G slots. The J8 comes with a 1.8GHz Qualcomm Snapdragon SDM450 Octa-core processor which isn’t powerful enough for advanced games like Pubg. Not that you can’t install and play it, but it will lower battery backup or heat up the mobile. Also, charging the mobile can take up a lot of your time as it does not support fast charging. And lastly, its plastic build does not match up the looks and design of the metallic bodies but its slightly lower cost, good camera, and long battery life make it a good buy. If you find a 6-inch or more screen to be bulky and need something smaller yet capable of delivering a quality display, the Moto X4 check all price range. Even with a compact and smaller build, the Moto X4 can pack a punch. The 6GB RAM and 1.3 GHz QuadCore Processor give you the perfect blender of speed and power for smooth multi-tasking without any heat up. And then there is the 64GB of storage for all the movies, music and games. But do you think 64GB will be enough? If not, then with a simple MicroSD you can expand it to 2TB, yes, you read that right (that is as big as storage as you can get). The 5.2-inch display is only lesser is size. In term of brightness, colors, sharpness etc. its just as good as any other display in this price range. Both the front camera (12MP) and rear (12MP + 8MP) dual camera are a mixed bag. The clicks made in daylight came out to be crisp and detail-rich but it is only the front camera that performs well in low light, thanks mainly to the flash. For unlocking, the Moto X4 only has a fingerprint scanner and no face recognition which is quite disappointing as other mobiles on the list do. Secondly, it has a hybrid sim slot. This means that you can either have two 4G Sims or one sim along with a Micro SD card. Also, the 3000 mAH battery means it will need to be charged regularly especially when used more extensively but it turbo charges (50% in just 30 minutes). Lastly, focusing with the rear camera needs more precision and does not click the best quality images in low light. Plus, the processor could have been of a slightly higher configuration but performs decently. It can be unlocked using the fingerprint scanner on the back.